Today Erik Dunkin joins us to talk about how Prairie Lakes Church encourages relationship based evangelism within their college ministry. Erik talks about the Journey to Spiritual Friendship tool that Prairie Lakes has developed that can be applied to any stage of a relationship with a non-christian. Erik Dunkin is the college pastor at Prairie Lakes Church in Iowa . Evangelism can feel very awkward or it can feel very natural. The first key is an invitation to friendship. The second key moment is an invitation to investigating Jesus. This is a grid that can be put on top of any relationship within your life. For this to work you must have both Christian truth and Christian community. This tool helps students to realize that they can talk about the Gospel and spirituality with their non-christian friends. Erik is a Badger at heart, with his undergrad degree from the University of Wisconsin in Madison; and is also an alumni of Trinity Evangelical Divinity School outside Chicago, where he got his MDiv. 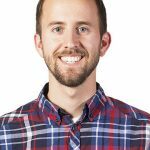 He’s previously been on staff with The Navigators, and is now the College Pastor at Prairie Lakes Church with theRiver College Ministry, which primarily serves the University of Northern Iowa.